Infrastructure is important in all parts of the UK, but in Wales, the region most affected by deindustrialisation, which is still reeling from neglect of public spending in the 1980s—a place which has mountains and valleys in abundance—the need for investment in all forms of infrastructure has never been greater. The uncertainties of leaving the European Union remain fraught with danger. Beyond the loss of environmental protections, trade agreements and workers’ rights, the impact on the economy is still unknown. However, in Wales the threat to structural funds remains a primary concern, and one that will define the Brexit negotiations and the Government’s ability to respond. A reduction in the amount of funding available for infrastructure projects in Wales, should the UK Government not commit to fully replacing it, will be catastrophic. 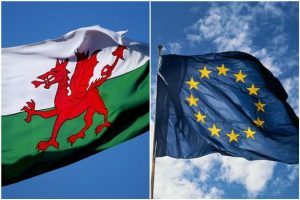 It is widely accepted that Wales has been a net beneficiary of the European Union, benefiting from billions of pounds of investment. The referendum results across Wales suggest that that message did not permeate communities, but that is astonishing, given the facts that surround the argument. The annual average allocation of EU funding in Wales is €65 per person, compared with €13 across the UK. Wales receives over six times more European structural and investment funding than England. That is not only astounding and depressing, given the qualifying criteria, but concerning given our potential reliance on the funding, and on the UK Government’s commitment to underwriting it after we leave the EU. To put things into context, the European regional development fund, the only European structural and investment funding directly concerned with infrastructure, committed €106 million to Wales during the 2014 to 2020 programme, under the theme of network infrastructures in transport and energy. Allow me to highlight some real-life examples of the difference that those vast figures make to infrastructure projects in Wales. The superfast broadband business exploitation project, which seeks to increase the take-up of fibre and ICT infrastructure by small and medium-sized enterprises, has secured €6.3 million in the regional development fund. The tourism attractor destinations project, which aims to increase employment through investments in prioritised local or regional infrastructure, has received £27.7 million in ERDF investment. Closer to home, I can speak of three projects that would not have happened without ERDF funding. The Neath Port Talbot integrated transport hub will use upwards of £5 million in European investment to create a transport modal interchange facility to promote public transport across the area. SPECIFIC, an academic and industrial consortium led by Swansea University to address the challenge of low-carbon electricity and heat by enabling buildings to generate, store and release their own energy, has secured nearly £15 million in ERDF funding and almost certainly would not exist without it. Lastly, the world-class Swansea University bay campus, which I have mentioned, is a multi-partner investment of £450 million, including almost £40 million in European regional development fund money. Those examples do not highlight the value and impact of directly funded European Commission programmes such as the Connecting Europe Facility and Horizon 2020, which are far more difficult to quantify but just as important as those funded via the UK or Welsh Governments; Horizon 2020 alone has awarded grants worth €40 million to organisations in Wales. But he has repeatedly failed to set out what those priorities and criteria will be. Surely the Chancellor of the Exchequer of Her Majesty’s Government has a responsibility to instil confidence in Welsh businesses and investments, not undermine it. Another effect on infrastructure in Wales of the UK leaving the EU will be that the Welsh Government and local authorities have fewer sources from which to seek funding or sustainable loans. The European Investment Bank’s lending to the UK in 2015 amounted to €7.7 billion, of which two thirds, or €5.5 billion, went to infrastructure. Those figures are staggering. The thought of losing that funding leaves me cold. The Swansea University bay campus secured not only substantial ERDF funding but an EIB loan to the value of £60 million. That funding is sustainable, vital and irreplaceable. Finally, I am concerned about a post-Brexit Wales where UK goals and priorities may be different from the EU priorities on which Wales and its Government have established plans and strategies. What will happen to the electrification of the Great Western line, the South Wales metro and the city deals? What will happen to the electrification of the great western line, the South Wales metro, the city deals and Swansea Bay tidal lagoon should they not be priorities for the UK Government once we have exited the European Union? The Government’s support to date for some of those projects has been questionable, as my hon. Friend Carolyn Harris said, without the pressure of committing to replace any funding lost post-Brexit. They must rise to the challenge and put in place the necessary guarantees to instil confidence in our businesses, universities and investors. They must commit to replacing any funding lost by projects currently in development but not yet signed, and demonstrate to the people of Wales that we have a Government who work for everyone.